Mobile game sales have become a huge portion of the video game industry and are set to become even bigger, Baird Equity Research's Colin Sebastian said in a new report. Some of the biggest publishers in the industry, including Electronic Arts and Activision, are starting to focus more seriously on mobile games. Much of the industry's potential is due to the fact that there are lots more mobile devices in use than PCs or game consoles. 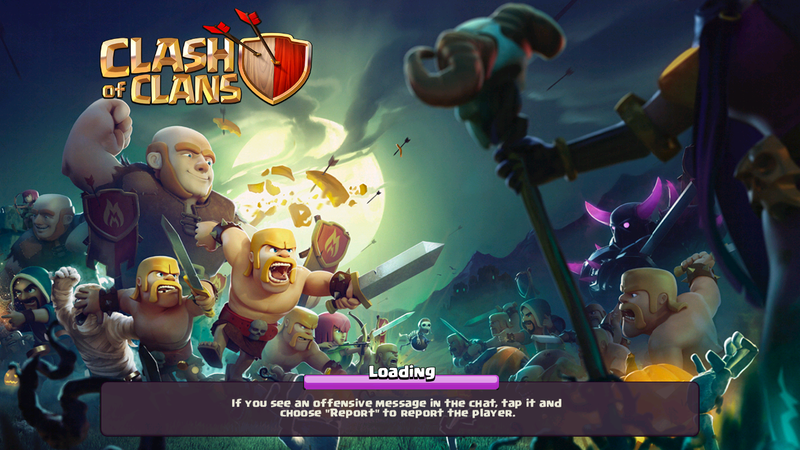 The mobile games business is becoming a lot bigger than Clash of Clans, Crossy Road, and Candy Crush — and it's offering a big opportunity for game publishers, distributors, and app store operators. Mobile games already comprise a huge portion of the overall game business, and are growing steadily, Colin Sebastian, a financial analyst with Baird Equity Research, said in a new report. Some of the largest publishers are starting to bring some of their best-known games to mobile devices. And publishers are likely to get people playing longer and spending more money by incorporating features such as location tracking, augmented reality, and real-time multiplayer interactions, he said. "As global smartphone and Internet penetration rates expand, we still see significant growth opportunities in mobile gaming," Sebastian said. Last year, the mobile games brought in $46 billion in revenue, he said, citing data from mobile market research company New Zoo. That represented about 42% of total video game industry revenue, he said. Mobile games are likely to continue to grow both overall and as a portion of overall industry sales, he said. 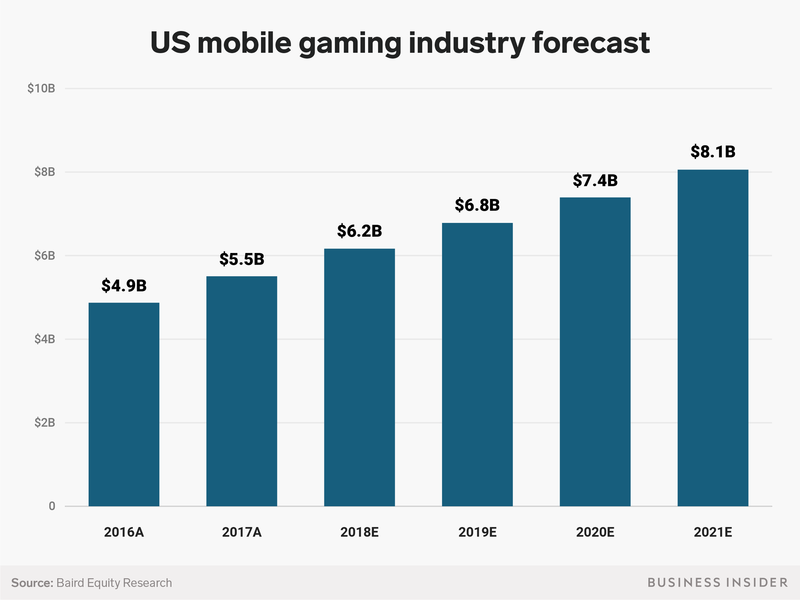 Meanwhile, in the US, Baird forecasts that mobile game sales will grow from $5.5 billion last year to $8.1 billion in 2021. Mobile gaming has been dominated by a handful of free games, often from developers or publishers that primarily focus on smartphone games. But some of the biggest traditional game publishers are starting to focus more closely on mobile games. Electronic Arts has already found success with smartphone versions of its FIFA and Madden NFL franchises, and Activision is discussing bringing some of its top game titles to mobile devices also, Sebastian said. It's not hard to understand what's drawing in the big game publishers — there's are a lot more mobile devices in use around the world than PCs or game consoles. In the US alone, there are around 203 million mobile game players each month, Sebastian said. "Mobile gaming gives publishers access to a much broader user base than traditional PC and console games," he said. Those gamers are already investing significant amounts of time and money. On average, iPhone users spent $36 in Apple's app store on mobile games last year, Sebastian said. Meanwhile, mobile gamers in the US spent about 30 minutes a day playing games on their phones and other handheld devices. Newer features could encourage them to spend even more time and money, he said. Pokemon Go showed the appeal of location-based and augmented-reality games. As those technologies become refined, games that incorporate them could become even more compelling. Overall, Sebastian is bullish on the long-term prospects for the video-game industry and mobile gaming is a big reason why. "Mobile gaming provides another growth lever for traditional publishers," he said. In addition to the publishers, mobile game app store operators including Apple, Google, and Tencent are well-positioned to benefit from the growth in the industry, Sebastian said.